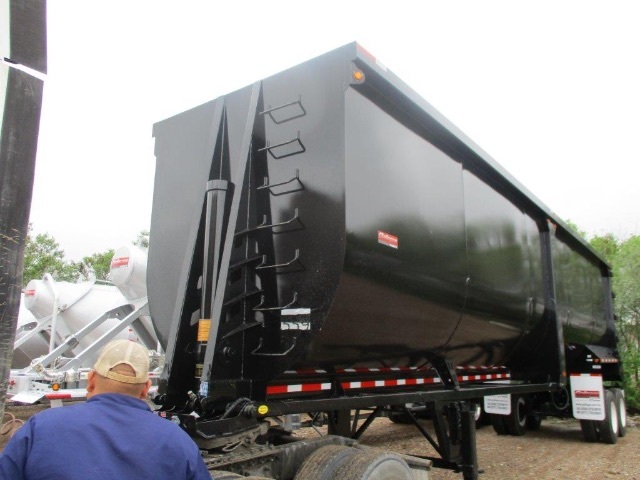 Please contact me regarding the 2019 Gallegos DEMOLITION DUMP 89 CU.YDS - Listing# 612622 for sale at TruckerToTrucker.com. Take a look at this 2019 Gallegos DEMOLITION DUMP 89 CU.YDS. It is Listing# 612622 at TruckerToTrucker.com. NEW GALLEGOS 2019 "DEMOLITION END DUMP TRAILER 40 FT " 89 YDS3 CHASSIS: FRAMELESS SUSPENSIÓN: SINGLE POINT 50,000 lbs BODY: Hardox Steel 450 Ca 1/4 Walls and Floor AXLES: 2, ROUND, 25,000 lbs. BODY DESIGN: TUB TYPE/CURVE ANGLE LIFT AXLE SYSTEM: NA SIDE RIBS: 2 DOBLE BOOSTER: Haldex Gold seal brake chambers HYDRAULIC Telescopic, 5 sections AUTO SLACK ADJUSTMENT: Autoadjustable CYLYNDER: installed outboard with Dog House ABS SYSTEM: Included LANDING GEAR: One JOST Set LASER WHEEL ALIGNMENT: Included TIRE RACK: ONE - CURVE SIDE DuPont Imron 5000 , DOOR OPENING MECHANISM: Book Type ANTI-CORROSIVE PRIMER: Included - By DuPont LIGHTS: LED Grote, DOT Approved DUCK TAIL END: Included REAR FENDERS: CARBON STEEL - PAINTED SANDBLAST: Included TIRES: (8) SteelMark AHS 11R 24.5 WHEELS: ( 8 ) Steel Accuride 8000 LBS 24.5. We sell and finance trailers. We work with all types of credit and have finance programs to fit every situation. We make it easy and affordable for you to finance your next truck or trailer quick and easy. Call FRED Today 469-225-0108 Hablamos español llámenos hoy para iniciar el proceso para obtener su crédito. Aquí aceptamos todos los tipos de crédito.